We've just announced that we've invited Marco Rubio to be our #cpac10 keynote speaker. 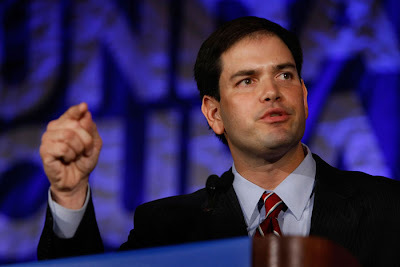 CPAC has just announced that Marco Rubio has accepted the invitation and WILL be the keynote speaker for CPAC 2010.. 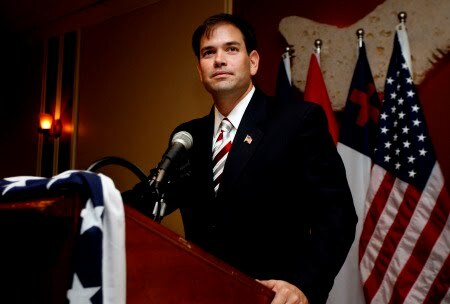 ...It's official: Marco Rubio is The Next Big Thing for conservatives. Earlier today, Lisa De Pasquale, the director of the Conservative Political Action Conference, announced that Rubio will be the keynote speaker for next year's CPAC conference. It's hard to overstate the importance of a CPAC appearance for a conservative politician. The annual conference draws thousands of right-wing activists and media outlets, offering the keynote speaker a national platform to address the Republican party's conservative base..."
"...With the CPAC announcement, Rubio just became one of the most prominent conservatives in the country.